250ml tin of Quickshade Strong Tone. 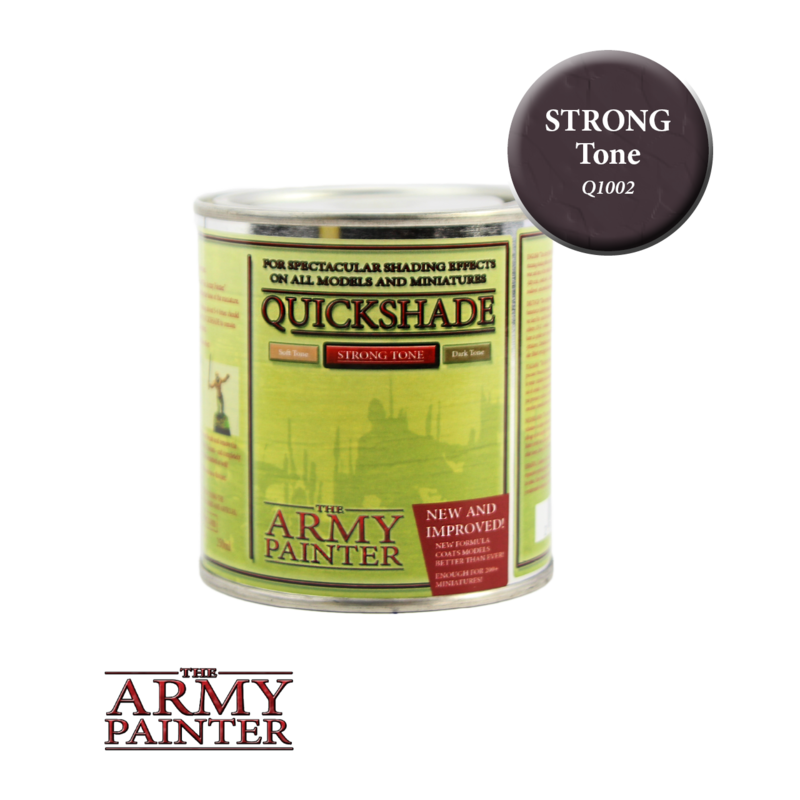 Quickshade Strong Tone is the “default” shade for any modellers looking to follow The Army Painter method of dipping. Whether dipped or painted on with a brush, Quickshade Strong Tone looks extremely good on models which need a deep shading and the rich brown pigment has an almost evil feel to it. This Quickshade is the most popular of all the tones as it will add a fantastic shading effect to any army and give it a stunning overall look. If in doubt pick this tone!